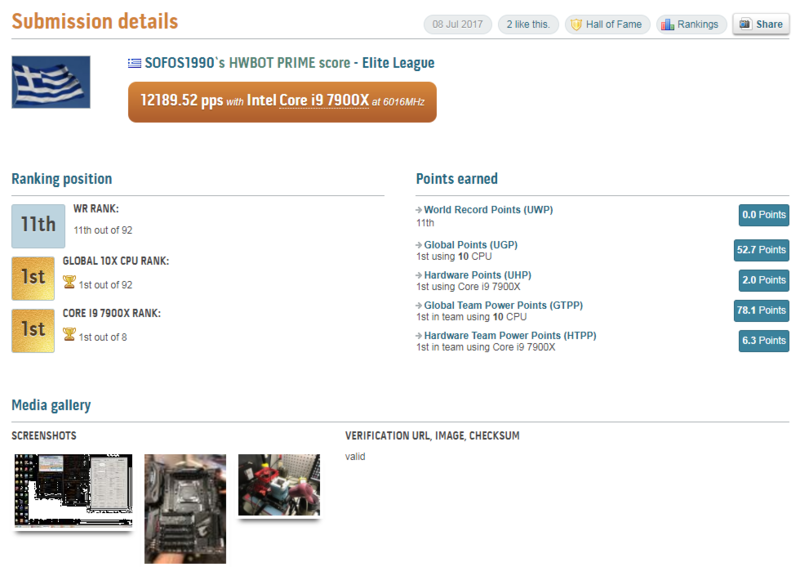 We noticed that sofos1990 has broken the almighty 6GHz barrier with a multithreaded benchmark called HWBOT Prime to retake his record with GIGABYTE X299 board and Intel Core i9 7900X CPU. 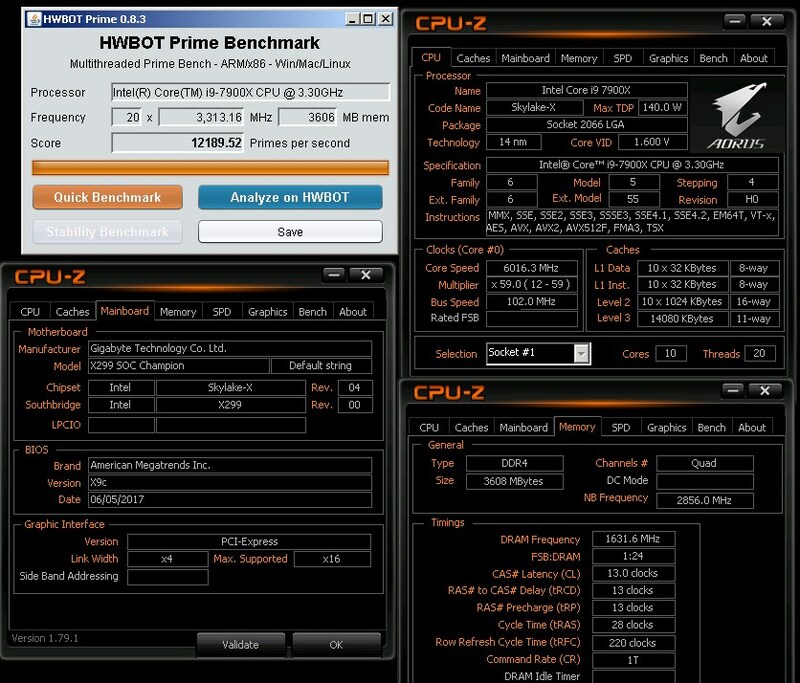 We are talking about all 10 cores and 20 threads running past 6GHz stable, using liquid nitrogen to achieve the frequency OC! 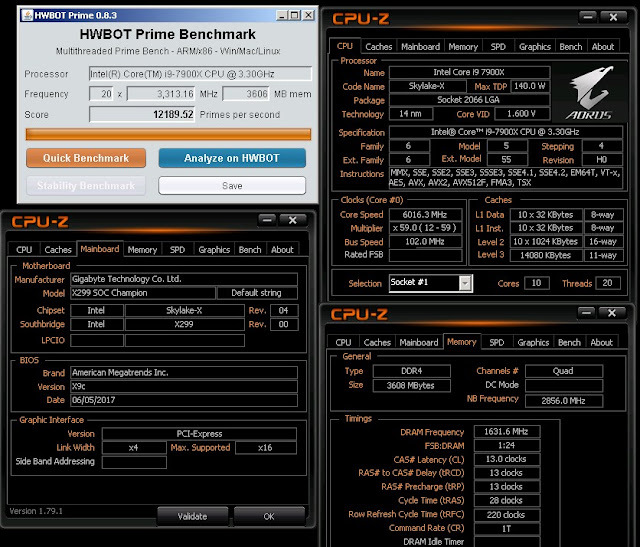 New HWBOT Prime reword with a 10 core CPU is now at 12,189.52pps!